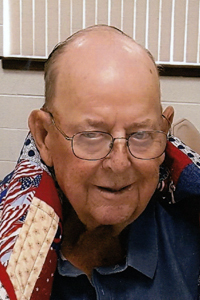 Norman Van Langen, 85, of Alden, passed away on Thursday, November 15, 2018, at Mary Greely Medical Center in Ames. Funeral services will be 11:00 a.m. on Monday, November 19, 2018, at the United Methodist Church in Alden with burial in the Alden Cemetery. Visitation will be from 4-6 p.m. on Sunday at the United Methodist Church in Alden. The Surls Funeral Home is in charge of the arrangements. Norman was born on the family farm on August 12, 1933. He was the third of four children born to George and Jennie Van Langen of Kamrar, IA. He graduated from the Kamrar High School in 1950. He served in the U.S. Army during the Korean War from 1953-1955 as a truck driver; hauling people, water and other supplies. At his 85th birthday, he received the honor of a Quilt of Valor quilted and presented by his nieces in appreciating of his military service. On February 10, 1956, Norman was united in marriage to Dorothy (Holdgrafer) from Williams, Iowa, at the Presbyterian church in Kamrar, IA. They worked together farming and raising their family. They were happily married for 42 years until Dorothy’s passing. Norman was a member of the United Methodist Church in Alden, where he served on various boards and was a youth leader for UMYF for several years. He was the “timekeeper” for services. He appreciated a good strong sermon-but wanted it within an hour. He was a member of the Alden Lions Club and the Alden Legion for many years. He was also a 4-H leader and helped his children prepare livestock entries for local and state fair competitions. He raised cattle and farmed as his occupation, but more importantly, as his life-long passion. He was a farmer 1000% and his heart was tied to the land. He loved his children, grandchildren and great-grandchildren and was very interested in their lives. He was proud of them and loved to tell humorous stories about them to his FS coffee group and his dear Westside friends. We will miss his love of laughter. He loved to give people a hard time.